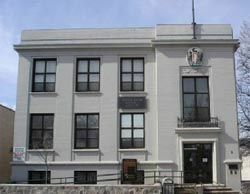 The Corner Brook Museum and Archives officially opened on December 8, 1997. It is housed in one of the oldest buildings in the city, which was built in 1926 to house the post office, telegraph and customs office as well as the town’s court room. The museum exhibits the social, cultural and natural history of the city of Corner Brook and Bay of Islands. Features include exhibits on the pulp and paper, fishery and telecommunications industries native to the region. There is also a Newfoundland Constabulary exhibit, as well as a small archaeological exhibit centering on the historical Paleo-Eskimo culture. Special events throughout the year include a celebration of Provincial Museum Week; Volunteer and Donor/Lender Appreciation Nights; Open House for Winter Carnival, and special occasion exhibits and celebration of summer events.